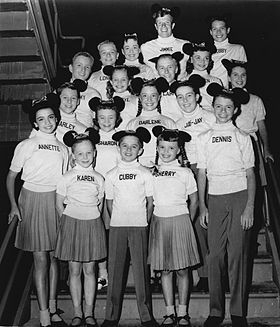 I am of the age where I must admit that my best Mouseketeers days are behind me. Still, my mobile phone delivers an ad seeking talent for Disney. Oh, and by the way, I have no kids. My luck is better than most – how else could you explain the level of success that I have attained? But I am not so fortunate as to repeatedly be told through an iAd that I have been selected to finish a survey in exchange for a free iPad 2, $500 gift card or an iPhone 5. What is too good to be true is not too good. Mobile is advancing, much like summer. But we still have a ways to go to deliver on all of the medium’s promise. Relevance, personalization and trust are not nice-to-haves – they are absolute necessities. Loyalty clubs, many built off of unsexy but highly effective SMS, are delivering both for the consumer and for the brand. And it is happening even at the local level. For example, this summer, a Chick-fil-a in Olathe, KS, saw a 46 percent response rate to a product offer sent to those in an opt-in database. Three weeks ago, 45 percent responded to another offer. In each case, sales numbers were hit despite the giveaways. The store manager said that mobile is working for her because she is able to engage her customers, entice them to try a new menu item, and still meet business objectives. Separately, Corona capitalized on the undeniable marriage between mobile devices and photo-taking by creating a program that enables customers to “find,” chronicle and share their summer. Winners will be featured in a Corona ad. In addition, Corona rolled out on-product codes that consumers can enter via their handsets for a chance to win weekly prizes. Consumers can submit a photo via MMS that shows how they celebrate summer to the short code 24455. A bounce-back message then prompts users to reply with their birth date and their state’s two-digit postal abbreviation to be entered into the sweepstakes. After a photo is submitted, a follow-up message encourages consumers to opt-in to Corona’s SMS program. Beautiful. Mobile and photos go about as well as beer and a lime. Corona's target audience not only enjoys a good time, but they enjoy sharing those moments. Elsewhere, Starbucks now sees more than 10 percent of its transactions in the United States are made with a phone. And Starbucks is installing wireless charging mats in more stores, not only extending its digital offerings but raising the expectations of a Venti-size group of heavily caffeinated consumers. Of course, Starbucks is not doing all this for benevolent reasons. “Our internal measures tell us that these various digital initiatives have added demonstrable impact to our U.S. business in the third quarter, with the promise of even greater growth in the months and years to come,” said Starbucks chief digital officer Adam Brotman. We certainly can say the same about mobile. The opportunity is huge, but it is not a slam dunk. Summer will soon turn to fall. I have old, tired eyes, but I am not in the market for mascara. That is for my wife’s phone across the room. The expectations for personalization and the deliverance of value have never been greater. August 13, 2013 by Jeff Hasen.